On June 19, NMPF submitted comments to the U.S. Food and Drug Administration (FDA) regarding the regulation of animals that result from gene-editing techniques. 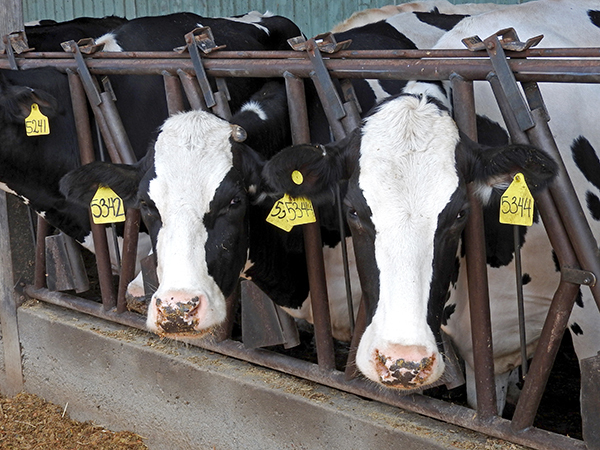 Gene-editing has potential for the U.S. dairy in helping to address animal welfare, antibiotics and sustainability issues. In its latest draft Guidance for Industry #187, “Regulation of Intentionally Altered Genomic DNA in Animals,” FDA proposes regulating animals that result from gene-editing techniques within a species in the same manner as animals resulting from transgenic techniques (adding genes from a different species) through the New Animal Drug Application (NADA) process. NMPF commented that the NADA process is unnecessary for most gene-editing applications in livestock. Instead, NMPF suggested that FDA use the regulatory framework suggested by the recent 2017 National Academies of Sciences, Engineering and Medicine report, “Preparing for the Future Products of Biotechnology.” The report offers a clear pathway FDA can utilize to determine what approval should be required for gene-edited animals not intended to produce biopharmaceuticals or medical devices. NMPF also proposed that FDA institute a notification process in which the developers of gene-edited animals inform the agency of the technical nature of the genetic edit so that it can categorize and take appropriate action. NMPF noted that FDA’s draft guidance may be appropriate for animals intended to produce biopharmaceuticals or medical devices.